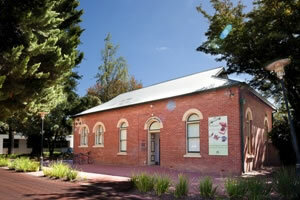 Subiaco Museum records and shares the social history of the Subiaco area. The museum collection includes thousands of objects, documents and photographs that reveal the stories, local origins and evolution of collecting practices within a 100 year old building. Step back in time and imagine domestic life in Subiaco during the first half of the twentieth century. View objects that relate to European settlement in Subiaco, and recognise the Indigenous people who are the traditional owners of the land on which the city is built.